The name Vracov is of Great Moravian origin or younger, with its name most likely deriving from Vrac, a diminutive of the personal name Vratislav. Thus Vracov was originally a settlement belonging to a Vrac. The builder of the late Gothic Vracov is to be sought among the Premyslids. This is evident because in 1231, Hodonín and Bzenec are mentioned as supporting points of Queen Constantine's castle districts, held as her dowry. Merit for the town's new life also belongs to the originally Hungarian queen, who oversaw the establishment of the church of St. Vavřinec in the new town square. The economic importance of Vracov was so great that in the middle of the thirteenth century, Přemysl Otakar II. included Vracov in the new administration of the Břeclav region. In connection with the town and the castle of Břeclav falling to the pledge auction of Vilém of Hustopeče, Vracov was seen as the center of the administrative district for southeastern Moravia. The regional officials were moved here after 1264. Since Vracov became the center of the Břeclav region, the region was also known as the Vracov region. For several decades, Vracov was the seat of the regional court. In 1268 the Iron and Golden King - Přemysl Otakar II – himself resided in the local fortress. The town and fortress were among his royal property. Later, the administrators of the Moravian Chamber called Vracov their home. The first administrator was Bohuslav of Pernštejn and the last one Soběrej of Hvězdice. 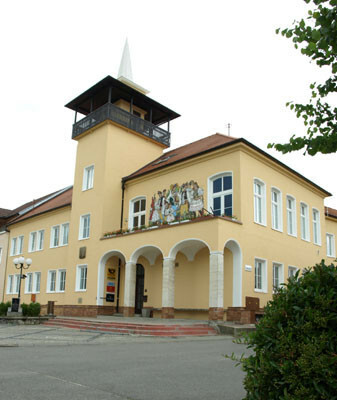 However, the promising development of the Vracov municipality, influenced by the presence of the regional administration center, was soon disrupted by the establishment of a new town Bzenec close by, where King Wenceslas II. had a large square built around the local church. Bzenec was built under the protection of a newly established Gothic castle on a steep hill above the square and the church. The transfer of the headquarters of the regional authorities from Vracov to Bzenec probably occurred during the turbulent times after the end of the Přemyslid era, most likely because of the benefits provided by the newly established castle to the clerks. The advantages of the castle were greatly appreciated, especially by King Jan Lucemburský. That is why the time around 1310 can be considered as the time when Bzenec comes to the fore because of its castle. This made Vracov part of the Bzenec estate. After the departure of the regional authorities to Bzenec, Vracov did not lose all the benefits it had previously enjoyed. It remained a town and its inhabitants were still burghers. It even had its own seal »Three towers above ramparts«. The beginnings of the Vracov wine cellars date to the end of the 13th century. By the 14th century, the vineyards had expanded considerably. The stormy events of the 15th century affected not only life in Vracov, but also in the Bzenec estate. Between 1427-1428 during the campaign of Prokop Holý in Moravia, Bzenec castle was targeted by the Hussite army, which conquered and completely destroyed it. 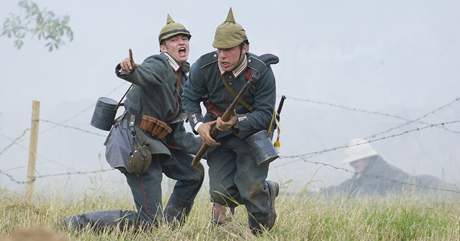 However, it was during the Czech-Hungarian wars that the biggest disasters at Bzenec occurred. Vracov became a major town in 1517 after receiving the right of brewing. Bzenec's estate had many owners until finally in 1587, it was inherited by the Silesian aristocrat Kašpar Pruskovský from Pruskov on Hradec and Šemnice. The Bzenec estate was the property of this family, which influenced its history and thus Vracov as well, for two centuries. Kašpar Pruskovský was primarily a businessman. He expanded his estates and needed a new workforce. Therefore, he decided to augment the workforce by calling upon German and other settlers from the conquered counties in Upper Silesia, where he owned the Pruskov and Šemnice estates. 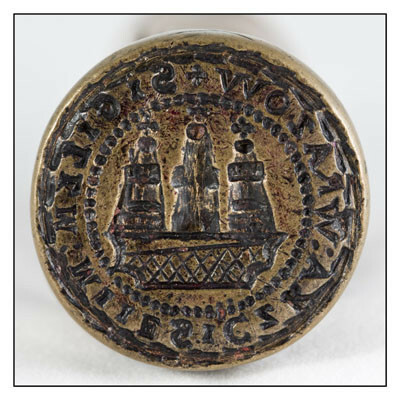 The foreign colonization of Vracov included numerous individuals from the ranks of the German emigration, which was settling in Moravia in the mid-16th century. The need for a larger sacristy at the church as well as a stone steeple, which was to have an added guard function, forced Vracov to add a Renaissance tower by the end of the 16th century. The population of Vracov, by the census of 1604, was greatly diminished by the invasion of the Bočkajov armies in Moravia, when Bzenec and the surrounding settlements got pillaged and the population was partially killed and captured into slavery. The greatest disasters in Vracov were caused during the first years of the Thirty Years' War, especially by the invasion of Gábor Betlen in southern Moravia in October 1623. The result of these incursions was that the population of Vracov had largely disappeared and that it was necessary to call upon foreign settlers again. The new arrivals were distributed evenly among Czech and German. It was important for the next generations of Vracov that the Czech majority was able to assimilate all the incoming German people. An important event in the history of the Vracov people was not only the Theresian serfdom decree, which cut serfdom in half, but also the decree of 1770 on the forced purchase of estates into hereditary possession. The purchase contributed to freeing the Vracov people from the Bzenec estate holders, on whom they had until then depended in times of emergency and on whose land they had to toil. After the purchase, the Vracovians came to own their own estates. It was only then that they could once again inherit and sell their estates. 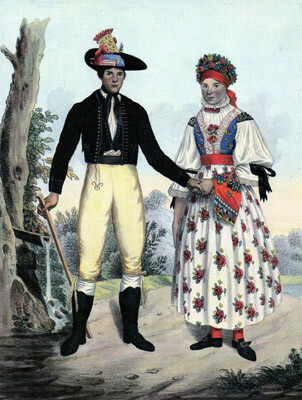 At the end of the 17th century, the Vracov costume was designed. A Vracov-inspired costume was even worn in parts of Bzenec. Vracov continued to grow and in 1837, it had 404 houses, 2014 inhabitants, 230 horses, 220 bulls, 362 cows and 1280 sheep. The year 1848 also brought the end of feudalism in Vracov. The inhabitants of Vracov became equal citizens of the state. From then on, they had the same standing as their Bzenec overlords. The serfdom was also ended. Well, feudalism was actually legally abolished on 7 September 1848, when the Vienna Parliament voted to abolish serfdom and all related burdens. In Vracov, this extensive transformation was completely peaceful. The cholera epidemic, which appeared at the end of 1849, took a much greater toll on Vracov. The epidemic culminated in the autumn of 1851, when 5-6 people died daily. Cholera took the lives of a total of 143 people. Another important period for Vracov was the construction of the railway - Ferdinand's Private Railroad. Many Vracov citizens found work on this railway from the 1970s and 80s. The First World War in 1914-1918 broke down the still peaceful way of life in Vracov. It took the lives of 92 Vracovians. To celebrate the creation of a separate Czechoslovak state, a procession went from the town hall to the town school. The ceremony was completed by a national anthem. The first major task for the Vracov administration in the new state was electrification. The period after 1920 was a period of great construction activity in Vracov. World War II caught the Vracov resistance more or less unprepared. The population of Vracov, except for minor exceptions, was impeccable in the national loyalty department. They did not transgress nor fight against national honor. They also shared a unique consensus as a whole. They held firmly together and did not give up anyone. Germans retreated from the Vracov area on 16-17 April 1945 and on 18 April Vracov was liberated. Between 1948 and 1949 the representative town hall was built according to plans by architect Jiří Jeřábek. The economic, social, cultural and construction changes had altered the face of Vracov so much that on 1 January 1967, Vracov was promoted from a town to a city after more than 700 years. Decision No. 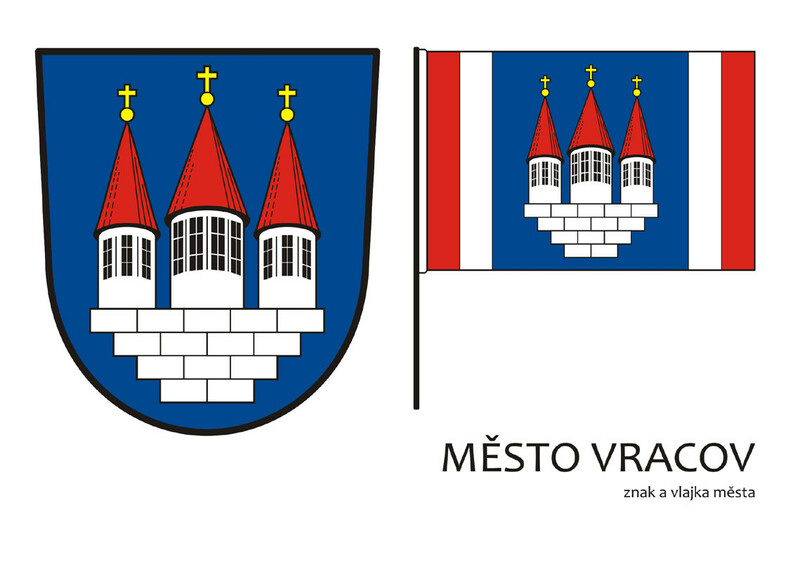 30 of the President of the Chamber of Deputies of the Parliament of the Czech Republic dated 5 March 2015 awarded the flag to the city of Vracov. This page uses data from the book »Dějiny města Vracova« (History of the town of Vracov) by Rudolf Hurt. The St. Vavřinec church has stood at the main communication artery since the 13th century. It is a valuable historical monument of the Early Gothic Cistercian-Burgundy type. It was probably built thanks to the Hungarian Queen Constance. In 1565, a Renaissance tower was built on the northern side of the chancel, where a Baroque top was placed in 1722. The church acquired its Baroque character at the beginning of the 18th century, and it had its first major repairs at the end of the same century. The most significant renovations were made to the church in the 20th century. Under the watch of Josef Zimčík, humidity had already begun to appear inside and outside. His insufficient technology, however, did not solve this problem. During repairs in 1992, two cases with original and newer documents were placed in the tower. The arrival of a young Slovak priest, Anton Kasan in 1999, was a turning point in the quality of repairs. Thanks to the more advanced technology, which also required rigorous drainage work, moisture removal was much improved. The church was finally ready for further repairs. However, these only took place in 2015-2016, when new wiring, sound, lighting and painting were purchased. As in earlier times, the parishioners contributed financially and a donor provided 500,000 CZK for the production and installation of new benches. The construction of the representative town hall took place in the post-war years of 1948-1949 v according to plans by architect Jiří Jeřábek, with painted decoration by academic painter Rudolf Gajdoš. There was originally an elevated area in front of it that blocked the vision of drivers, so it was modified in 1966 to road level and a park was planted. There is a commemorative plaque in the arcade to the victims of World War II. The ceremonial hall also went through changes and was opened again in 1989 after a renovation that also added a preparation room for wedding guests. A new meeting hall of the city council has been set up in the building, which also serves the Civil Affairs Corps. Over the past ten years, the City Hall has undergone several renovations including new windows, roofing and facade repairs. The last modification was the restoration of the sgraffito by the grandson of the creator, Pavel Doležal. The building houses the offices of the city council and a post office that was set up in 1871, which was equipped with a telegraph station in 1904. From the inner courtyard, one can enter general practitioner offices.